Alienware arena had similar pack with different title but they all gone. Was hoping for a new one. Now to remove that arc software junk…. 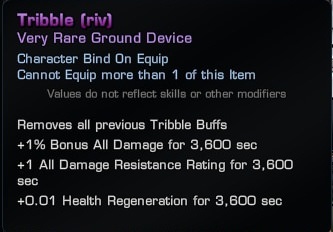 I have it too but luckily the tribble is bind on equip so stuck it in account back for moment. Same deal here. Got title but nothing new on the tribble….sigh..
Was hoping it would be a new one. One day they might do something with the tribble breeding…. Leeta, Tactical Bridge Officer (XBOX Only) Note: These may have already been used, they were posted as an open list.